HOME ADDRESS: Bhubaneswar, Odisha, India. NATIONAL (AITA) RANKING: Number 4 in under-12. * Won the u-12 boys singles title in the 16th All-Odisha Nalco Open Tennis Tournament at Kalinga Stadium in Bhubaneswar on Dec 21, 2014. * Emerged under-12 boys singles champion in the 14th All-Odisha Nalco Open Tennis Tournament at Kalinga Stadium in Bhubaneswar on Dec 9, 2012. * Finished boys singles runner-up in the AITA U-14 Talent Series Tennis Tournament at Ordnance Club in Kolkata on Nov 13, 2015. 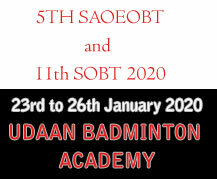 * Finished runner-up in both under-16 boys singles and doubles categories of the AITA-OTPPA Championship Series Tennis Tournament that cocluded at KIIT International School in Bhubaneswar on April 17, 2015. * Won the U-14 boys singles title in the AITA-OTPPA Championship Series Tennis Tournament at KIIT International School, Bhubaneswar on March 27, 2015. * Won the under-14 boys singles title in the AITA-OTPPA Championship Series Tennis Tournament, which concluded at KiiT International School in Bhubaneswar on January 3, 2014. * Won the under-12 boys singles title and finished u-14 boys singles and doubles runner-up in the AITA-OTPPA Championship Series Tennis Tournament at Kalinga Stadium, Bhubaneswar on Oct 24, 2014. * Won the U-12 boys’ singles title in the AITA-OTPPA Talent Series Tennis Tournament at Kalinga Stadium in Bhubaneswar on Sept 20, 2014. 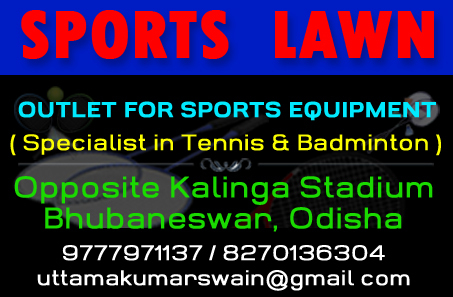 * Finished boys’ doubles runner-up with partner Kabir Hans in the OTPPA-OTA All-India Under-16 Championship Series Tennis Tournament here at Kalinga Stadium on May 19, 2014. * Bagged a double by winning both singles and doubles titles in the AITA Super Series Under-12 Tennis Tournament at Sania Mirza Tennis Academy in Hyderabad on April 25, 2014. * Moved up to No 2 position in the under-12 national rankings by virtue of winning the boys` doubles title and reaching singles semifinals in the AITA National Series U-12 Tennis Tournament at Bangalore on April 18, 2014. * Won the singles title and finished doubles runners-up with partner Dev V Javia (Gujarat) in the CLTA-AITA Super Series Under-12 Tennis Tournament at Chandigarh on April 11, 2014. * Finished boys’ doubles runners-up with partner Kabir Hans in the AITA-OTPPA Championship Series U-14 Tennis Tournament at Kalinga Stadium in Bhubaneswar on March 24, 2014. 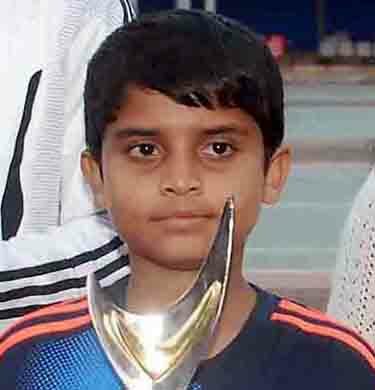 * Won the boys’ singles title in the AITA-OTA Talent Series U-12 Tennis Tournament at Kalinga Stadium in Bhubaneswar on March 10, 2014. * Finished singles runner-up in the AITA-OTA Champions Series Under-14 Tournament at the SOA University sports complex in Bhubaneswar on Sept 26, 2013. * Won the under-12 boys` singles title in the AITA-OTA Talent Series Tournament at Kalinga Stadium, Bhubaneswar on Feb 14, 2013. * Emerged champion in the boys under-12 singles category of the AITA Talent Series Tennis Tournament at BTA Complex, Salt Lake (Kolkata) on Dec 13, 2012. * Emerged under-12 boys doubles champion with partner S Aravind (Karnataka) in the AITA Championship Series Tournament at Guwahati in Assam on May 31, 2012. * Finished under-12 boys` singles runner-up in the AITA-OTA Talent Series Tennis Tournamentat the Kalinga Stadium in Bhubaneswar on March 15, 2012. * Mahanadi Coalfields Limited felicitated him with a cheque of Rs 1 lakh in Bhubaneswar on Sept 30, 2014. * Odisha Tennis Association on May 17, 2014, felicitated him with a cash award of Rs 25,000 for becoming India No 1 in under-12 category. * Became No 1 in AITA under-12 boys` ranking with 410 points on April 27, 2014.